Next week we welcome spring and we’re working hard to contain our excitement! 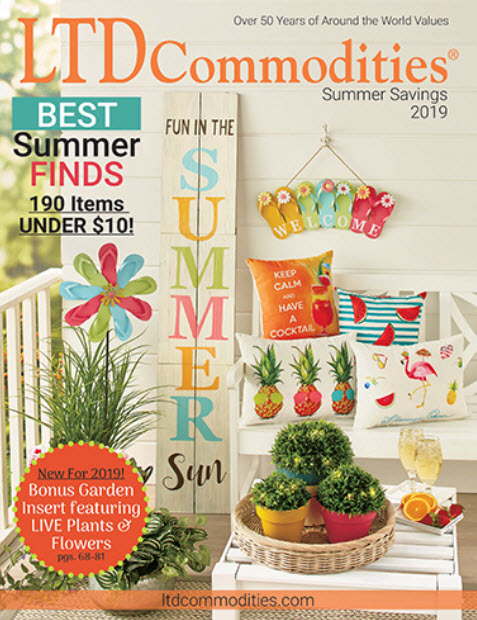 While we’re gearing up for all the fun activities that come with the season change, we picked out a few items we think you might like. Here are this week’s Items We Adore: Product Picks for Spring. The Women’s Set of 2 Cardigan Wraps is a stylish addition to your wardrobe. Layer these comfortable cardigans over any tank top or dress for a flattering outfit. Each sweater features 3/4-length sleeves and an open front with extra long fabric for a draped effect. The front extensions can also be tied for a classic shawl look. Cotton. Machine care. Imported. 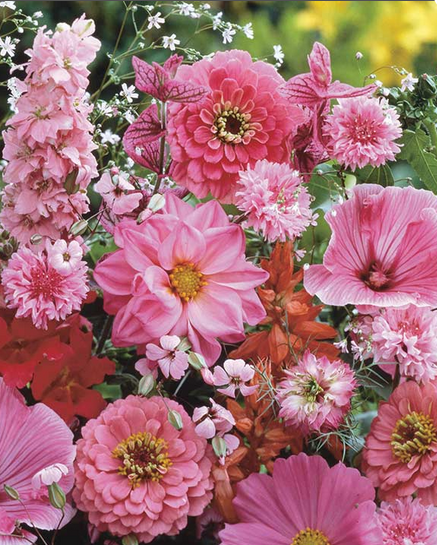 No digging or tilling required! Just place each Drop & Grow SeedBallz in the soil. Loaded with seeds, each ball grows clusters of flowers. Do not bury deep; keep moist. Store SeedBallz in a dry, cool place. Each set comes with 8 SeedBallz. They are hand-rolled by individuals with developmental disabilities in the USA. Grow flowers easily in the garden or containers with these “truffle-like” clay balls. Add rustic decoration and storage to your home with Fabric-Lined Storage Baskets. Each wire basket has a removable polyester liner. 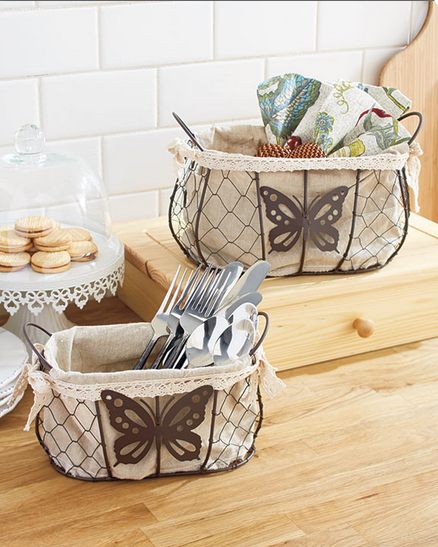 Set of 2 Butterfly Baskets features beautiful butterfly accents and looks great on a countertop or table. The 3-Tier Storage Basket (11-5/8″ dia. x 32-1/2″H) is perfect for setting out fresh fruits, vegetables and more. Steel. Liners are machine wash. 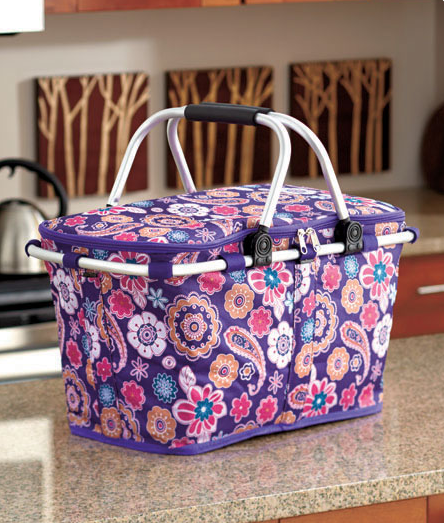 The zippered compartment of a Collapsible Insulated Tote Basket keeps drinks and snacks cool for picnics and sporting events. The handles fold down for easy storage. 18-3/8″W x 11-1/4″D x 16″H with handles up. Polyester, metal and polypropylene. Imported. More fun than bumper cars or a pillow fight, this Sumo Bumper Bopper has a fun, kid-friendly design. 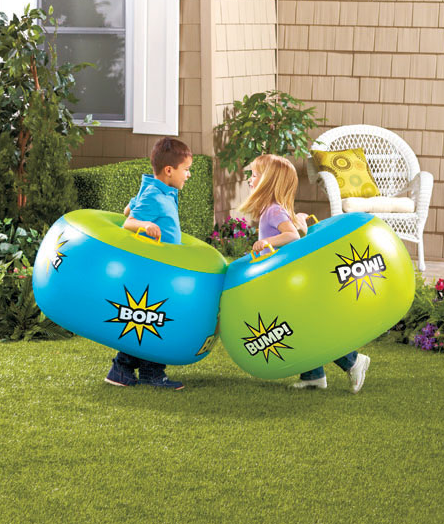 Kids will love to bop, sock and bump in this inflatable bopper. Handles on the side give kids extra stability. Repair patch included. Made of heavy-duty vinyl for rugged durability. Inflated, 31-1/2″ dia. x 16-1/2″. Colors vary, so please let us choose for you. For ages 4 and up.